When applied topically, clay benefits skin both cosmetically and structurally. Clay has been used for more than 6,000 years as a detoxifying, antimicrobial medicine that helps people with skin problems such as poor blood circulation, rashes, and lesions. 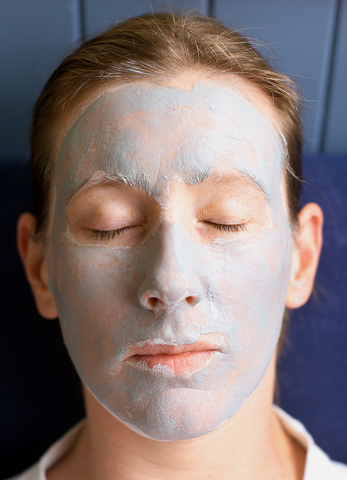 Those aren’t the only bentonite clay benefits. Learning how to use clay properly will allow you to clean and strengthen skin, neutralize internal toxins, and destroy harmful bacteria. However, it is not without danger. The improper use of clay can cause bowel obstructions, electrolyte deficiencies, respiratory problems, and bacterial multiplication. Here is how to use it safely and effectively. When applied topically, clay benefits skin both cosmetically and structurally. It insulates the surface of the skin, causing it to heat and expand. This relaxes capillaries and improves blood flow, allowing cells to heal and release toxins. Furthermore, animal studies have shown clay to improve the formation of collagen, one of the proteins in skin that prevent it from wrinkling. In combination with vitamin A in the form of retinoic acid, clay can increase collagen density in mice after 14 days. Studies also demonstrate that clay mixed with jojoba oil can reduce skin lesions and acne by up to 54% over 6 weeks. This is likely the result of clay’s ability to absorb sebum, a waxy oil that is excreted onto the skin. People with severe acne secrete over double the sebum of those without acne, which explains one way in which clay can provide relief. Bentonite clay can also be used to destroy bacteria by depriving them of nutrients or by delivering toxins. Clay that has been pre-treated to contain microbe-destroying ions such as silver, copper, or zinc can release these ions upon contact with bacteria. It is vital to know what type of minerals and ions are contained in the clay, because, unfortunately, this same process can actually benefit bacteria if clay is administered incorrectly. If bacterial nutrients, instead of bacterial poisons, are attached to the clay, it can contribute to bacterial multiplication. This is known to be the case with the ingestion of some types of French green clay. Any type of clay is safe for skin application. If the clay is mixed with jojoba or any other oil or herb, check the ingredients to ensure that the mixture does not contain anything to which you are allergic. Mix the clay with water until it has a thick, muddy consistency and apply it to the desired area 2 to 3 times per week for 30 minutes. Be careful not to inhale the bentonite, as laboratory studies show that there does exist an extremely small chance of the clay being carcinogenic to lung tissue. The recommended type of clay for ingestion is bentonite, which has been shown to absorb bacterial toxins more effectively than kaolin or charcoal, and destroys a wide spectrum of bacteria over a 24-hour period in laboratory experiments. [10,11] To remove bacteria and their toxins from the digestive tract, take an oral dose of food-grade bentonite clay at a concentration of 4 parts water to 1 part clay. 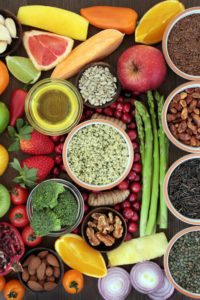 Using a higher concentration of clay or clay that is not food grade could result in intestinal blockage, which can only be corrected by surgery. Food grade clays are available at health stores and on the Internet, and are labeled as being safe to eat. French green clay is not recommended unless it is sure to contain one of the following antibacterial ions: silver, copper, or zinc. Clays are strong chelators and will absorb both good and bad minerals when ingested. It is not recommended to drink clay more than once per day or in concentrations higher than 4 parts water to 1 part clay, as this can lead to electrolyte loss. We want to hear your opinions in the comments section below. If you have used bentonite clay, did it work for you? What type of clay was it, and how did you use it? Do you have other advice on how to improve skin? Eliminate toxins? Fight bacteria? You can help others by sharing your experiences and stories in the comments section below. Elements (Que). April 1 2009; 5(2): 99-104. Clin Exp Dermatol. 2012 Mar;37(2):164-8. Am Acad Dermatol. 1983 Feb;8(2):200-3. Hudler, George W. (1998). Magical Mushrooms, Mischievous Molds: The Remarkable Story of the Fungus Kingdom and Its Impact on Human Affairs. Princeton University Press. ISBN 978-0-691-07016-2. Toxicol Sci. 1999 Dec;52(2 Suppl):118-26. Clays and Clay Minerals. August 2008; 56 (4): 437-452.
acne, antimicrobial, bacteria, bentonite clay benefits, collagen, digestive, digestive tract, food, fungus, gastroenterology, health, Intestinal blockage, mold, nutrients, nuts, respiratory problems, skin, studies show, toxins, vitamin, vitamin a, zinc. I use bentonite clay it is the best, I feel so much better, every one should do this. Have bentonite clay helps in treating intertrigo? I deal with constant intertrigo to the point its making me nuts. I made a body powder using arrowroot powder, food grade bentonite clay and chamomile powder. At first, it was effective at reducing my under the breast area but after a few weeks, I was having a big flare up and it was irritating some of my skin, so wasn’t sure if I was having a reaction to the bentonite clay, or to arrowroot or chamomile. Its just very frustrating to deal with my intertrigo. I worked on a big boring operation in the 90s ,was the mixer,,dumping bags n bags of bentonite into a mixer for several years,and must have inhaled lot of the dust,.will i have health issues? People taking sodium bentonite clay should take potassium and magnesium with it sometime throughout the day not at the same time as the clay! I almost had a stroke …THANK YOU FOR SHARING THE FACT THAT IT messes up your electrolyte balance! I am 39. My skin for decades had been the dry but not flaky type. I managed it well with cocoa butter cream with glycerin or olive oil added by myself. About 4 years ago I noticed that my skin was naturally developing clayey particles. I bath usually once daily but even after a good spongey bath, I check even 30 minutes later and I’m sure to get some clay when I rub my skin. Amazingly, my skin has never felt smoother!